What of Lent and Ash Wednesday? Ash Wednesday is the service and Lent is the season for repentance from phony Christianity, pretend spirituality, and words without works Christian living. The Holy Spirit uses the Lenten focus as a tool to open our hearts which have grown calloused through selfishness and pride. Throughout the busy year, we become spiritually dull and unapologetically self-absorbed. Our attitudes and actions are insensitive to others’ needs and disobedient to God’s call to life and holiness. Ash Wednesday stops us in our tracks and reminds us that we are but dust and to dust we shall return. Dust can’t demand, dust can’t argue, dust can’t exalt itself, and dust can’t boast. Dust needs God to have life and only in God can these “jars of clay” minister life (Gen. 2:7, Job 42:6, Eccles. 3:20, Ezekiel 37:4, 2 Cor. 4:7). 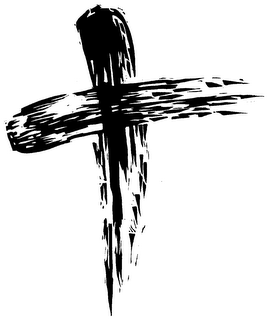 Ash Wednesday reminds us that we are nothing but dust, dirt, and mire without the crucified and risen Jesus. We too easily forget our Maker and Redeemer; replacing God with things and ambition. Lent is the season that does something about this situation. It calls us back to God, back to the basics, back to the spiritual realities of life. It calls us to put to death the sin and the indifference we have in our hearts toward God and our fellow persons. And it beckons us to enter once again into the joy of the Lord–the joy of a new life born out of a death to the old life. That is what Ash Wednesday is all about–the fundamental change of life required of those who would die with Jesus and be raised to a new life in him. Robert Webber, Ancient-Future Time: Forming Spirituality through the Christian Year(Grand Rapids, MI: Baker, 2004), 99. Ash Wednesday is Feb. 22, 2012. This entry was posted in Ash Wednesday, Robert E. Webber and tagged Ash Wednesday, Lent, Robert Webber on February 19, 2012 by GlennDavis.